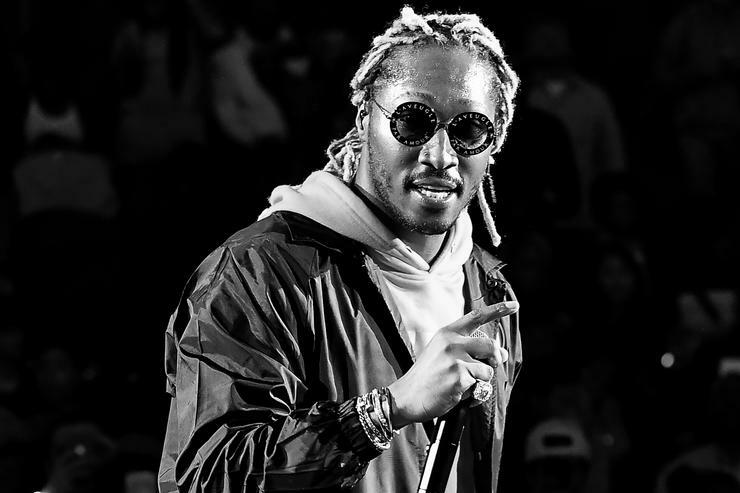 Home>Music> Top Tracks: Future's #1 Again With "Jumpin On A Jet"
If you didn't already figure it out last week, you have by now: Future season is in full effect. The ATL titan's new album, The WIZRD, is out this Friday, and the past couple of weeks have been a flurry of activity in the run-up to release day. We've received three new songs— two official singles and one leak— and a revealing Apple Music documentary that shares the album's title. The WIZRD promises a full 20 tracks, so don't expect this hypestorm to die down after this coming weekend. Surprise surprise, Future's the only artist with multiple appearances inside of the top ten this week. New tracks barely missing out on spots include DJ Kay Slay and Kevin Gates' "I Do This on the Regular" (#13), YoungBoy Never Broke Again's "Kick Yo Door" (#14), Fetty Wap's "Hold On" (#15), and iLoveMakonnen and Gucci Mane's "Spendin'" (#16). Kehlani's got a new release that she's deemed a mixtape on the way, and last week we got the first taste of it in the form of the Ty Dolla $ign-assisted single "Nights Like This." This one debuts at #10. Just last week, Halsey claimed the second Billboard Hot 100 #1 of her career, the first coming courtesy of her and the Chiansmokers' "Closer." Her current #1 is "Without Me," and in an effort to strengthen her claim on the top spot, she quickly released a remix of the track featuring another recent chart success, Juice WRLD. This version debuts at #9. Future's first of two appearances this week is also the only repeat track from last week. His and French Montana's leaked "NASA" debuted at #1 last week, long after it had been scrubbed from the web. In its second week out, the track is down seven places from #1 to #8. It had been quite some time since viral sensation Bhad Bhabie gave us a single, but she ended the drought last week with none other than Tory Lanez in tow. Their new collab, "Babyface Savage," debuts at #7. At halftime during last week's College Football National Championship, mainstream rockers Imagine Dragons blazed through their ever-growing repertoire of radio hits, but with one noteworthy surprise. Lil Wayne popped up as a surprise guest during "Believer," delivering a guest verse that was soon released with an official remix online. This one debuts at #6. Another one? After a surprisingly popping 2018, Tyga's new year appears to be off to another hot start thanks to new single "Floss in the Bank." This one only came out haphazardly on Friday, before getting an official release last night. Either way it's had enough time to make its way up to a #5 debut. With the R. Kelly controversy continuing to rage on in the wake of the Surviving R. Kelly docu-series, former collaborator Sparkle has released a new song that she says is inspired by all of the new information coming to light. "We Are Ready," as it's titled, debuts at #4. Yelawolf remained silent for most of last year while working on his forthcoming Trunk Muzik 3 project, but kicked off 2019 by freestyling over Gangsta Boo's classic "Gangsta Walk." This track, intended to hype fans up for the new album, debuts at #3. Out of the blue, The Weeknd and Gesaffelstein released a new track last week. "Lost in the Fire" pairs him back up with My Dear Melancholy, collaborator (and Yeezus contributor) Gesaffelstein, and it debuts at #2. The Weeknd followed up this release by contending that there will be "no more daytime music." Speaking of tried-and-true producer/rapper combos, how about 56 Nights buddies Future and Southside? Following "Crushed Up," their new collab "Jumpin on a Jet" marks the second official track we've heard from The WIZRD. This one debuts at #1. MUSIC Top Tracks: Future's #1 Again With "Jumpin On A Jet"